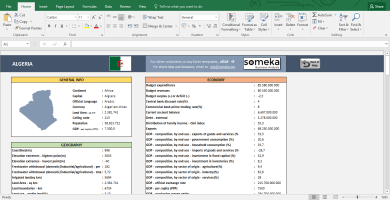 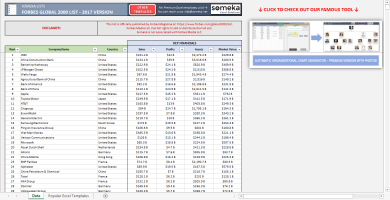 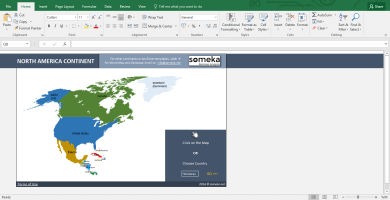 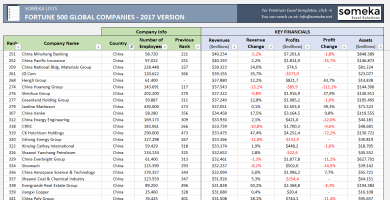 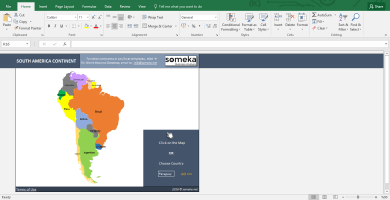 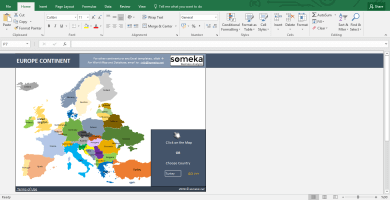 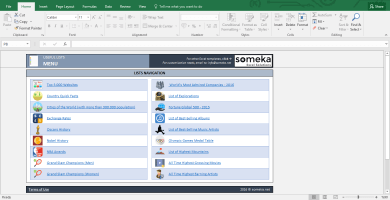 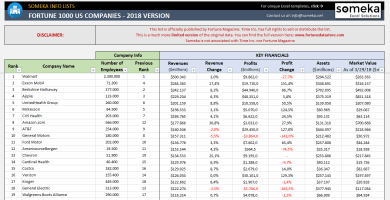 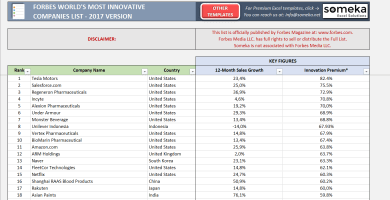 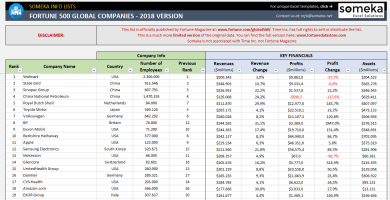 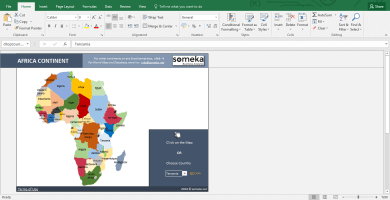 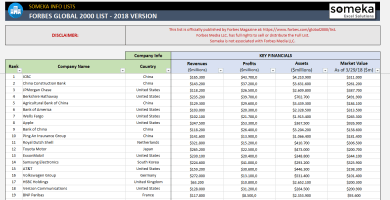 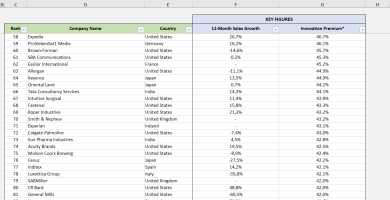 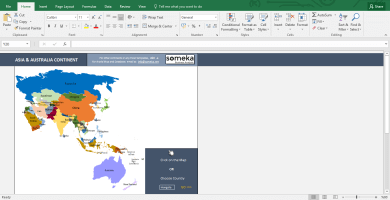 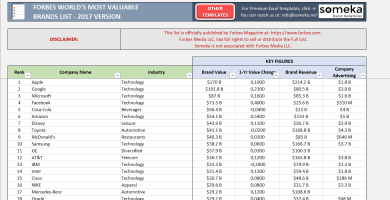 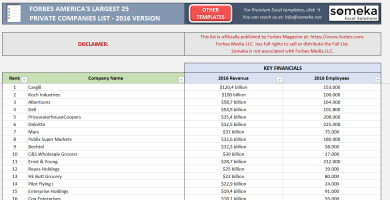 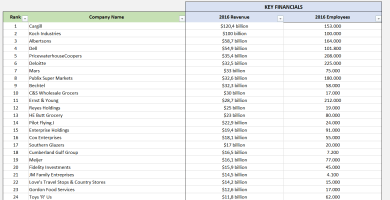 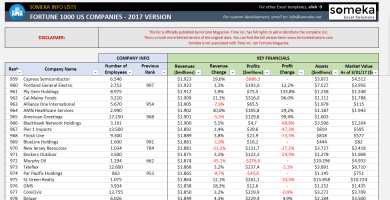 Excel Info Lists - Fortune 500, Country Facts, Nobel History and more! 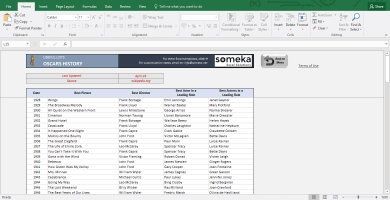 Searching for info lists? 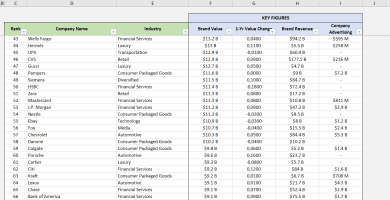 We have consolidated lots of data in Excel spreadsheets. 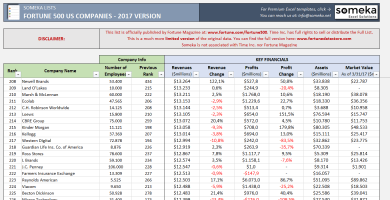 Fortune 500, country info lists, exchange rates, Nobel history and more.